Execution management systems that feature algorithmic trading strategies can save time by automating trades that would require days or weeks to complete. 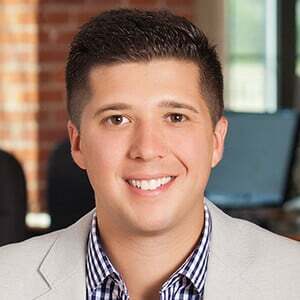 To ensure large, institutional trades are executed properly, accurate market volume forecasts can help protect an order from adverse selection. Volume forecasting models typically focus on predicting expected volume. Predicting the available volume in the rest of the trading day is important to set order sizes for large institutional orders that will likely require multiple days to complete. It is also important to understand the uncertainty of remaining volume to avoid over and under reacting to sudden market shifts. FactSet’s Trading Solutions team has developed a set of event-aware forecasting tools to handle the more challenging execution optimization problems. In this white paper, Event-Aware Forecasting, Part 3: Fat Tails in Trading Volume, we show that the remaining volume distribution can be modeled as a four-parameter fault-line distribution and provide estimates of the distribution parameters as a function of the time of day, the Obizhaeva-Kyle measure of a stock’s activity, and the observed volume surprise versus the expectation. 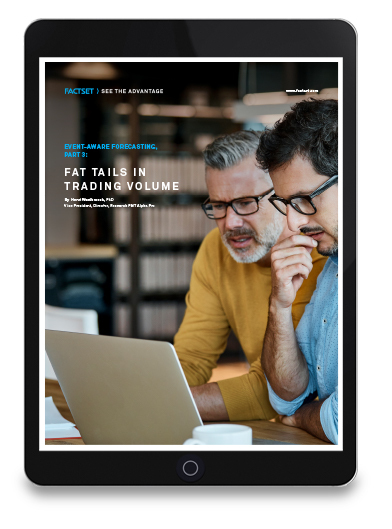 Complete the form to download your free copy of our white paper, Event-Aware Forecasting, Part 3: Fat Tails in Trading Volume.